Our kids and teens classes are designed to help our students develop their physical skills and coordination, as well as build their self-confidence and resilience. Our goal is to allow all kids and teens to move through life feeling empowered and safe. Perfect for anyone wanting to improve their fitness, movement, confidence and self-defence skills, our Adults Classes are renowned for being safe, fun and effective for everyone. 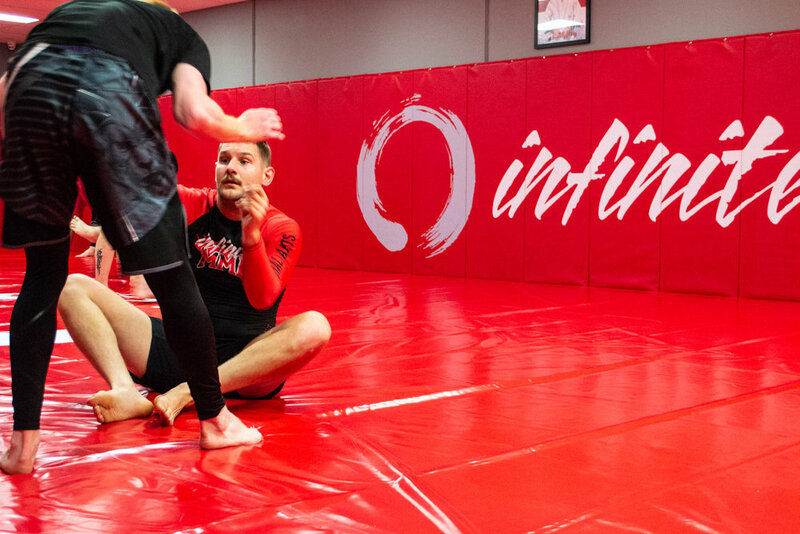 Whether you’re training for fun or to compete, everyone is welcome at Infinite MMA. Designed to give the Ladies of Ballarat an opportunity to learn new skills, build self-confidence and improve physical fitness in a safe and comfortable environment. Our Ladies Only Self-Defence classes focus on critical skills that help you stay safe. Reach your strength and conditioning goals with Infinite MMA's in house strength coach. Get a personalised program and semi-private weight lifting sessions up to 4 times per week. When designing your programs we take into account your goals, lifting experience, injuries and limitations and your MMA training schedule to deliver maximum results. When you train at Infinite, you’ll be training a welcoming, supportive, family culture. Lead by our team of highly trained, professional coaches, our members will make you feel comfortable from the minute you step foot on the mat. Providing you with an outstanding place to train and grow is our top priority. That's why we keep our fees simple and transparent. Be sure to chat with our reception team to find the ideal membership option for you. *we have many different membership options to choose from, rest assured that after your free trial class the receptionist will go through these options with you to find one that suits you best.